Centuries ago, by a scaffold in Manhattan, rose petals drifted gently to the ground……like snow on a wintry Massachusetts night. Melody Tarleton is driving home for Christmas when a man–clad in Revolutionary War-era costume–appears out of nowhere, right in the path of her car. Shaken, she takes in the injured stranger, listening with concern to Jake Mallory’s fantastic claim that he’s a Patriot soldier, sentenced to death by British authorities. The last thing he remembers is the tug of the noose. Safe at her parents’ house, Melody concocts a story to explain the handsome holiday guest with the courtly manners, strange clothes and nasty bump on the head. Mark, her close friend who wishes he were more, is skeptical and her family is fascinated–though not half so fascinated as Melody herself. Jake is passionate, charming and utterly unlike anyone she’s ever met. Can he really be who he claims? And can a man from the distant past be the future she truly longs for? With the aid of enchanted petals, ancient potions and the peculiar magic of the season, Melody and Jake embark on an unimaginable Christmas adventure–and discover a love that transcends time. Obviously, magic has a huge hand in this story, although the setting is based in the “real” world. But who doesn’t love a certain unexplainable event in a contemporary romance? Uh, well I wouldn’t, if the situation had been handled better. Don’t get me wrong, I love Jake. He’s so…intrigued by everything that has transpired since his time in the Revolutionary War. Yet these things like electronics, a washroom INDOORS, and the idea of more wars occurring since his War never fazed him. He took in stride. He’s by far one of the more enjoyable things that happened to this book. The only other thing I loved was the rest of Melody’s family. From her brother Keith, who also took Jake’s arrival into this world in stride, to her eccentric parents, they made one particularly hilarious group to read about. I mean, come on, Keith thought the best way to teach Jake about all the things that has happened in the past 3 centuries was through movies based on all the different wars in that time period? And her mother was eccentric to the core, with a fusion Wiccan/Catholic belief system. I guess you can say she’s open-minded? Which is good, given that Jake should be dead and 300+ years old. I swear, she never even batted an eyelash at the fact that he was in modern time. And her father? He was brilliant, but wanted to be some crazy inventor. I will say, Home in Time for Christmas had its heartfelt moments. Jake was trying to get back to his time to be with his adopted sister, while feeling something for Melody. But obviously, that would be a rather strange situation if he didn’t just head back, right? 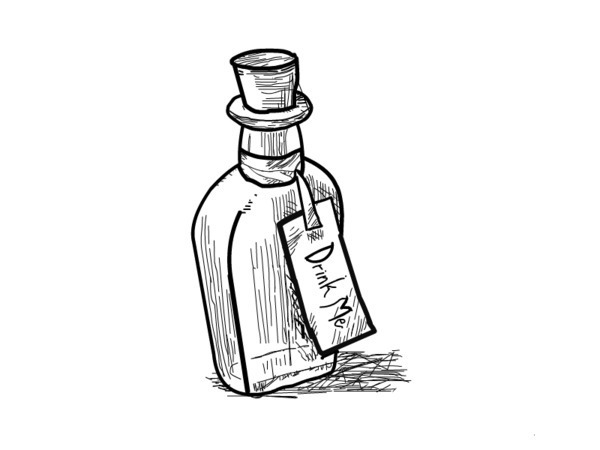 The ending was wrapped up too nicely, although the extra epilogue set years later was a nice touch. I’m not sure how I felt about it, although I guess things turned out okay for everyone. Just, how does that not change the course of history? Aren’t all those time travelling stories based on the ONE theme that any minor change could alter the current reality as the characters knew it? ‘Cause, boy, was there a change in history from Jake’s movements. Plus, might I add, that once Melody’s family realized how to send Jake back, they kept botching it up?! Like, people kept moving back and forth in time to the point it was getting ridiculous. Good thing they happen to have like 4 different chances to do so before the time portal or whatever closed. Honestly, some of this “magical” stuff was a little too far-fetched for me to stomach. All in all, it wasn’t terrible to read. Like I said, the characters were all rather amusing to read about. The plot could really use some major tweaking, but I was satisfactorily distracted with it enough for one afternoon when I would’ve rather done anything but work. So maybe that wasn’t too high of a compliment, but it was a decent story. 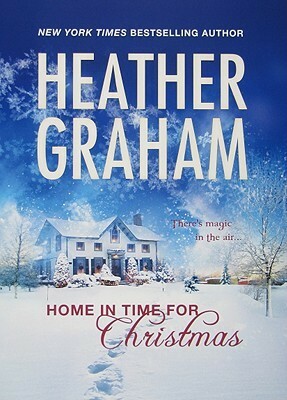 Far from realistic albeit set in a realistic world, this was my first Heather Graham book. Characters were delightfully eccentric and amusing to satisfy a boring afternoon of nothing else to do. The plot held too many further questions to ponder about, like say, changing history from having Jake come to the present day. But those could be looked aside, right? I guess that would depend on you…and perhaps the mood of the moment in which the story is being read.